An earlier decision by the Supreme Court, refusing to grant counselling extension for medical super-speciality seats has now been revised in a separate bench order, wherein, the holding of mop-up counselling within the next 10 days has been directed. The directive to this effect to the Director General of Health Services (DGHS) came from the bench of Justices UU Lalit and AK Goel, who ordered the filling up of 553 vacant SS seats, within the next week or ten days, through the mop-up admission counselling process. The SChas directed that there will be a mop-up round of counselling and will be conducted by the DGHS by October 24, as per a recent TOI report. Many states didn’t want to surrender all their seats. By the time the respective states and the medical colleges agreed to surrender, the precious counselling time had passed. HT reports the stand of the apex medical council before the Supreme court, which while opposing the extension of the counselling dates, had said in the SC that not only will the extension perpetuate indiscipline among colleges and candidates, it can also give undue benefit to ineligible candidates who can take the undue advantage. “What’s the assurance that what happened in earlier counselling will not happen next time? 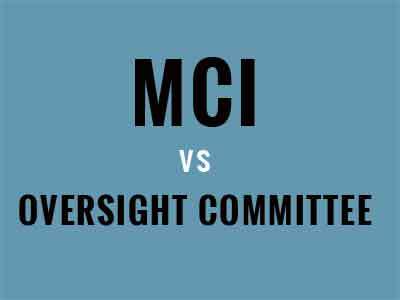 We are not in favour of the extension,” a source in the MCI told HT. HT reports that the OC, in its letter to MCI and the director general, health services (DGHS), has favoured filling up the vacant seats with one extra round of counselling. Taking the stand of the OC, the ministry again approached the court, this time to see positive results. The Court has instructed the DGHS to fix the counselling date and time for candidates, urging it to give ample publicity to the counselling schedule for five continuous days reports the Hindu. The publicity campaign will be carried out- both in Newspapers and on the Medical Council of India and DGHS websites.The order also marks the joining period after counselling to not extend beyond 4 days.The extension of the deadline is only applicable for the present academic year, the court has clarified.